Premium quality spacious custom colonial set back on picturesque property. Tremendous attention to detail in every aspect of the construction and layout. Located on a sought after country road, this home has beautiful high end finishes. There are wide plank Brazilian cherry floors as well as extensive custom designed millwork throughout the house. A double height mahogany ceiling graces the large entry foyer. A chefs kitchen opens to great room with stone fireplace overlooking the property. Oversized windows provide abundant natural light. The master suite features a fireplace, 2 walk in closets and luxury bath. There are 3 additional en suite bedrooms and convenient upstairs laundry room completing the second floor. The finished lower level with extensive built ins and full bath provides perfect bonus space. Outside a large mahogany deck overlooks beautiful private property with pond and ample yard.. 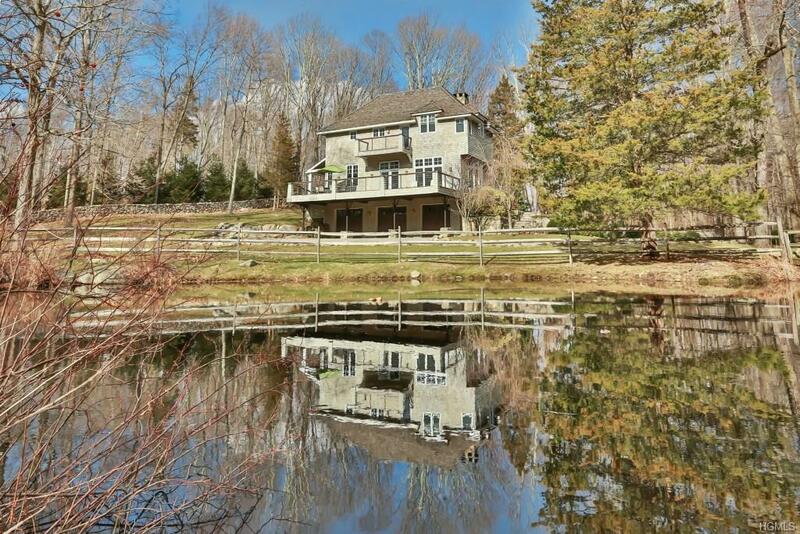 Pound Ridge is only 50 miles from NYC offering open space & great sense of community. 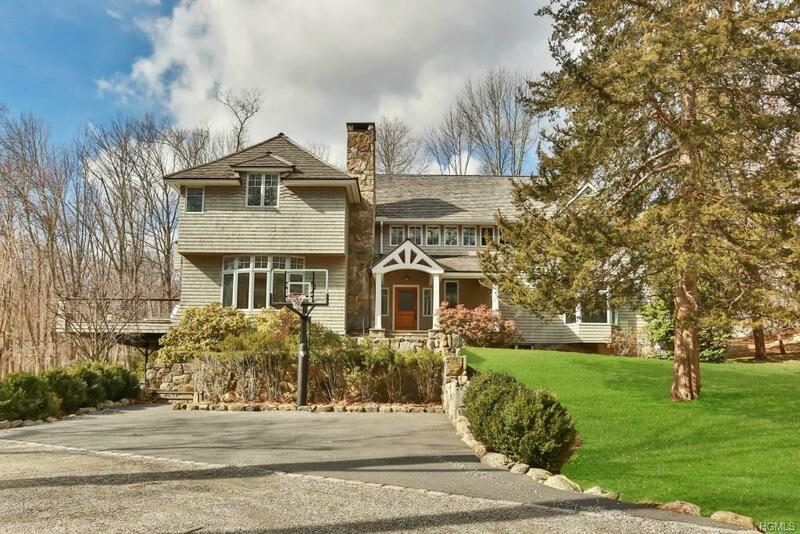 Listing courtesy of Lauren Goldenberg of William Raveis Real Estate.